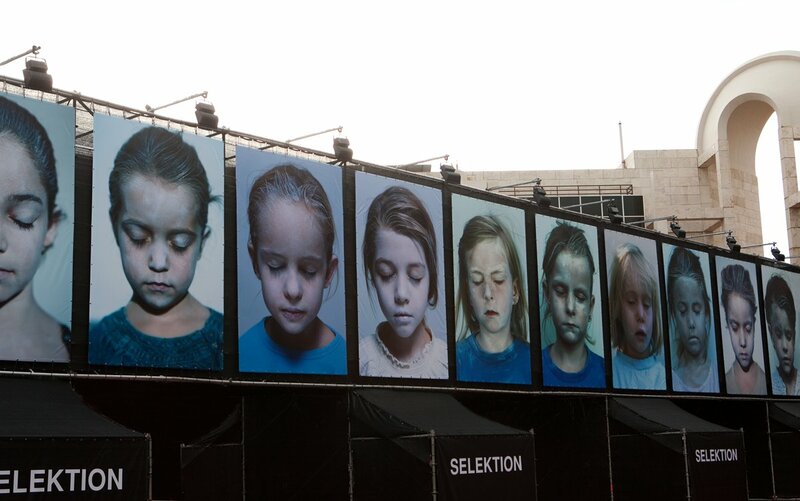 Helnwein erected this installation originally in fall 1988 in the city of Cologne in Germany, on the occasion of the 50th Anniversary of the pogrom-night of November 9, 1938. 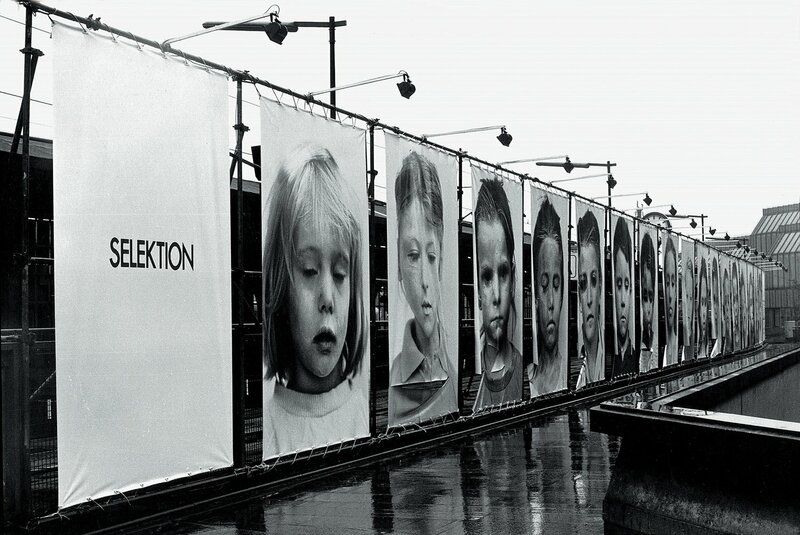 The Installation was placed between the Cologne Cathedral and the Ludwig Museum, alongside the railroad track of the central station. 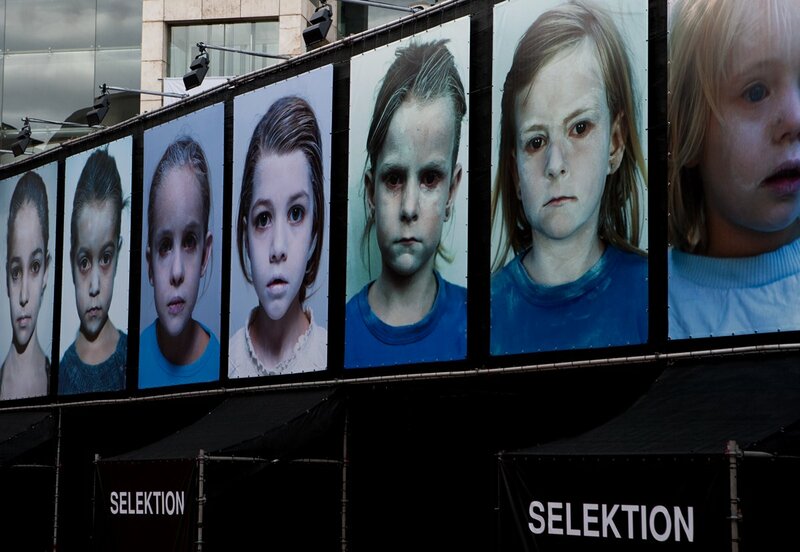 It was entirely financed by the artist. 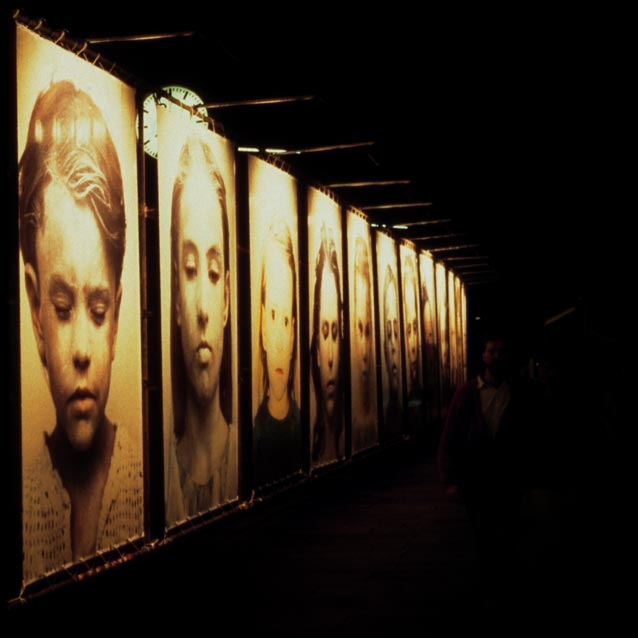 A hundred meter long wall of pictures with large images of children's faces, in a seemingly endless row, as if made to line up to be "selected". 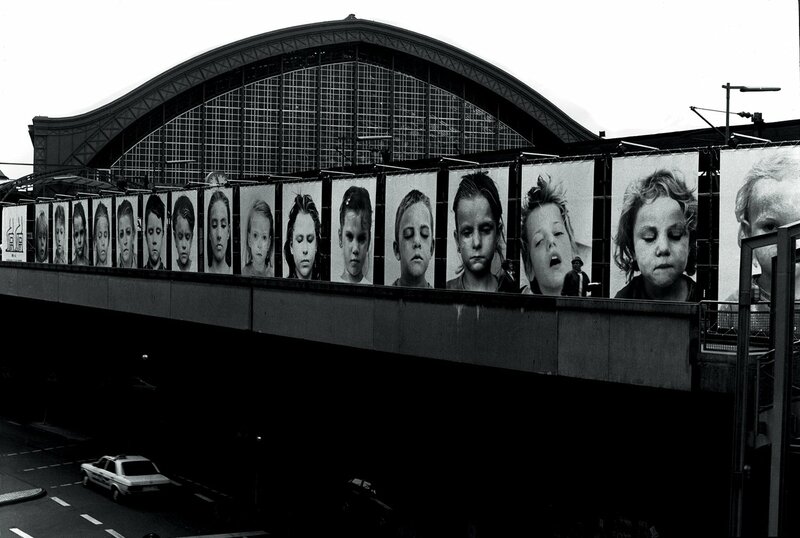 With the faces of christian, jewish and handicapped children, that lived in Germany in 1988. 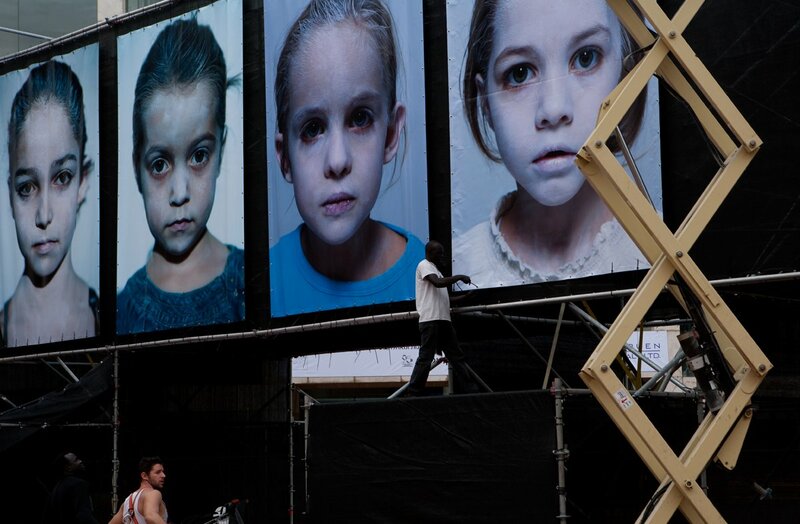 In the second night after the opening, unknown people cut all the throats of the children on the pictures.